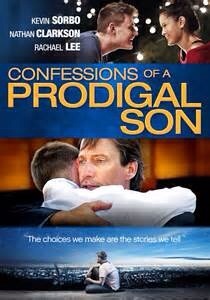 Confessions of a Prodigal Son is a coming-of-age tale following Sean (Nathan Clarkson) as he rebels and leaves his home, family and father (Kevin Sorbo) to figure out life on his own. Two years later–while still on the journey to find life’s answers–Sean suddenly finds himself questioning everything he thought he knew as he is confronted by a professor (Darwin Harris) who challenges Sean to see his life as a story; a best friend (Azel James) walking a dangerous path; and a strong and beautiful young woman (Rachael Lee) who is on her own journey to answers. Each one of these elements causes Sean to greater examine the choices he is making. The story is one of drama, laughter, relationships, faith, and redemption, ultimately asking the question “Can broken stories have happy endings?”.